By Azwan Jamaluddin in Hosting. Updated on April 9, 2018 . Having cloud storage these days have become a requirement, and we are spoilt for choice with what is available out there to help backup our important data, e.g. Dropbox, Google Drive, Box etc. However, they all share one major drawback. They have limited storage space and at the end of the day, they are still a third party you have to trust with your (sometimes sensitive) data. Why compromise when there is an apparent solution? Thanks to a growing contingent of developers, we can now make our own cloud storage. These solutions forgo the use of a third-party server, ensuring that your data is for your eyes only. We have here 8 tools to create your own cloud – all offer unlimited storage, and a few other features third-party cloud storage lack. Do note that some of them require you to be familiar with setting up your own server. As you go down the list, the installation process will get trickier. 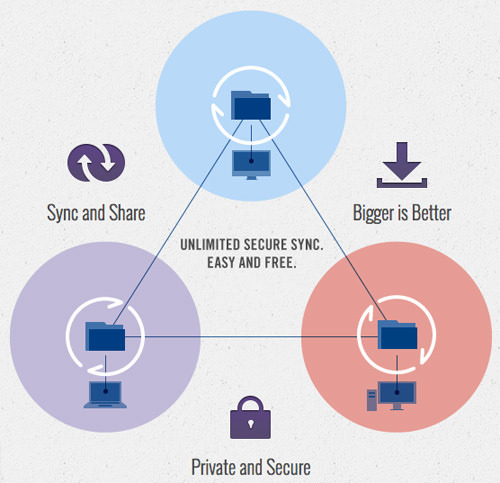 We’ve introduced Bittorrent Sync previously as a way to transfer large files anonymously but did you know that you can also use it to create your personal Cloud? All you need to do is configure a folder to act as a drop-off point so you can sync all your files on all your devices running Bittorrent Sync. Platforms Supported: Windows, Mac OS X, Linux, FreeBSD, iOS, Android, Windows Phone, Kindle Fire. 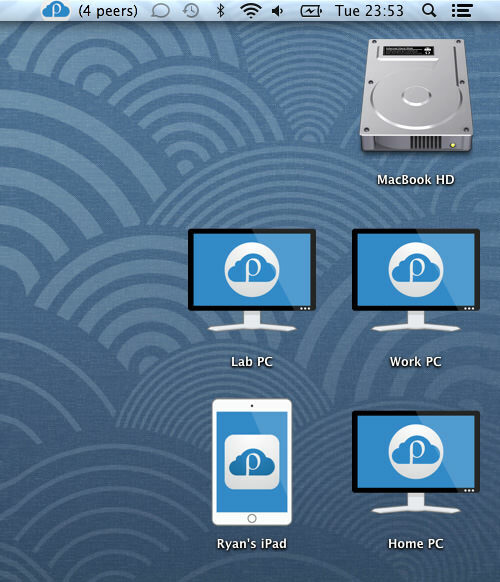 PClouds a personal cloud solution that makes sharing files between OS X and iOS a breeze. The program recently entered beta and it requires you to sign up to its beta program but it looks to be a solid, easy to use app to create a personal cloud within the Apple ecosystem, bypassing iTunes. It also has a simple file management app for mobile devices. There are plans to build for other OSes. Also check out our review here. Platform Supported: Mac OS X, iOS. 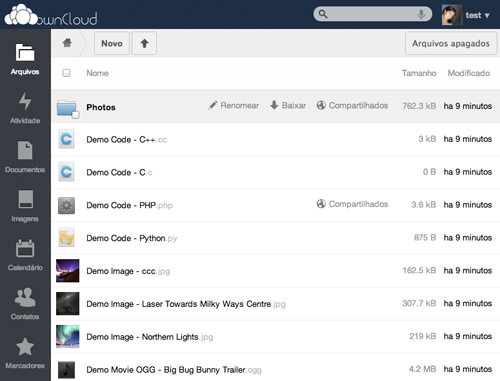 An incredibly versatile tool, ownCloud is a free, open source application that lets you build more than a Dropbox replacement to dump your data. Along with data storage, the app comes with a number of other features such as a way to manage your calendar, to-do lists, a document editing tool and many more. You can get OwnCloud installed with the instructions found here. Platforms Supported: Clients available for Windows, Mac OS X, Linux, iOS, Android. Server software installed using web installer. Seafile, another open source solution, sells itself as a file syncing and online collaboration tool. 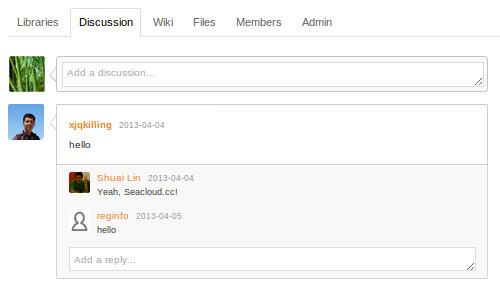 You have the option of using its cloud service, SeaCloud.cc or set up self-hosted servers. For the latter, there are two kinds: Open Source and Business ($25 per user per year). The application features a rich online file editor, version control, multi-platform file syncing and more. Platforms Supported: Clients available for Windows, Mac OS X, Linux, iOS, Android. Server software available for Windows, Linux, Raspberry Pi. 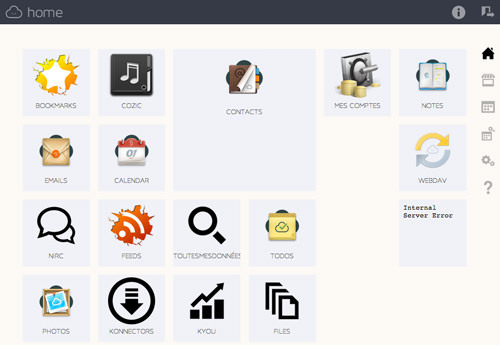 Similar to OwnCloud, the aim of Cozy is to give you a way to maintain your own data using your own web apps. In the developers own words, "Cozy allows you to turn your server in a kind of personal Google App Engine." The developers encourage users to develop it further, hoping to connect many different services and utilities to it. Platforms Supported: Images available on Virtualbox, Raspberry Pi, OpenVZ, Cubieboard2, Cubietruck. 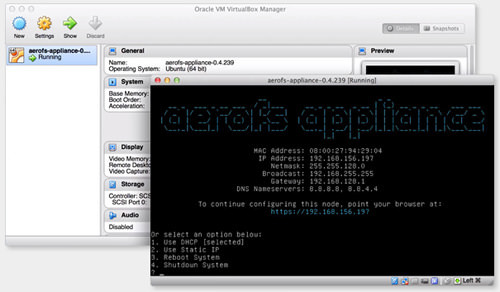 AeroFS is an open source app that is aimed at corporate users, offering collaboration tools as part of their package. They also offer a free version for personal use, which supports up to 3 users. The service prides itself on its fast syncing speeds, with no limit on the data transferred. All you need to do is to install the AeroFS client into the device you want to put in your sync circle. Platforms Supported: Windows, Mac OS X, Linux, iOS, Android. SparkleShare uses git in order to maintain all your data. This means that you will get full version history of your files as well as the other good stuff that comes with git. This is an excellent solution if you have documents that require going through a lot of changes. It may not do so well with very large files though. Platforms Supported: Client available for Windows, Mac OS X, Linux. Relies on a Git server for data storage. 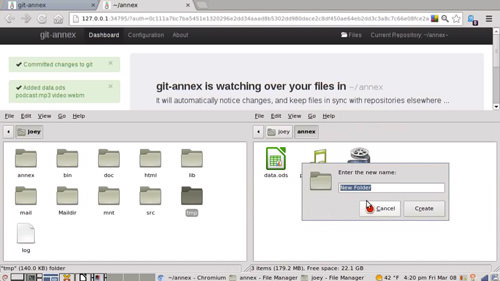 Similar to SparkleShare and obvious from its name, git-annex also uses git to manage files but "without checking the file contents into git". What this means is that it is more suitable for larger files that git is used to handling. The app is mainly in command line but for those who aren’t keen on this, there is an easy-to-use alternative version. Platforms Supported: Server software available for Windows, Mac OS X, Linux.